Creato is specialized in leather interiours, they also deliver Sparco-seats at the best prices ! For some nice pics of creations check the creato site ! 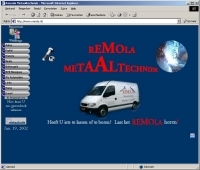 Remola is a dutch firm specialised in all metals. The make roll over bars for you interiour !